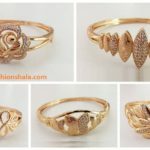 Make your 2019 all about the new and trendy designs. 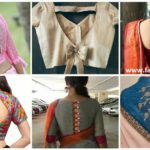 Here we have some chic blouse back designs for you to successfully become a very “trendy girl/woman” this year. 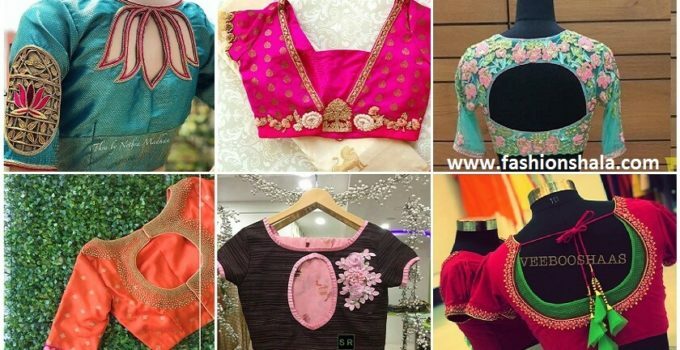 In this article we have the 12 most stylish and trendy blouse designs in 2019. 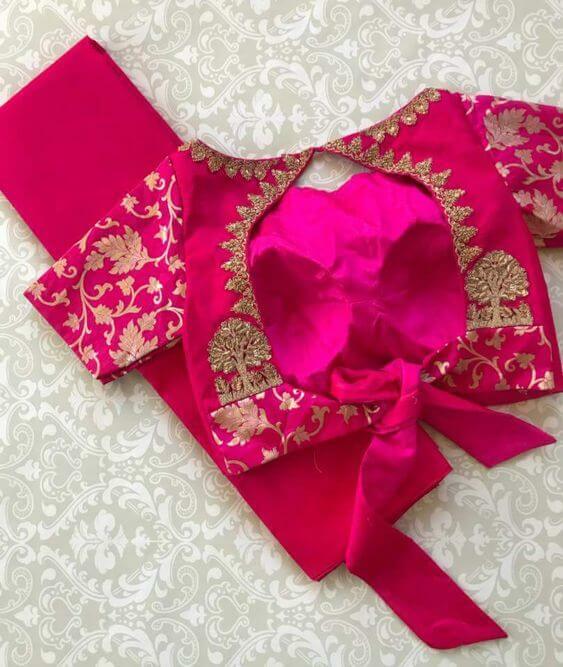 The blouse is pink in color, the design of the back is shaped in the pattern of a “V” it has a suitable lace on it. There are golden flower and tree patches where the “V” of the pattern ends. 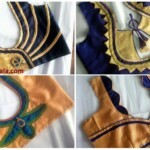 It’s a very basic design but it gives the blouse a very interesting look. 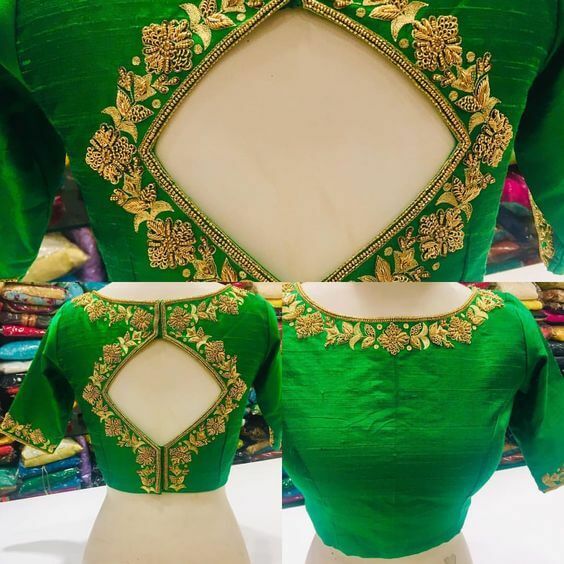 This green colored blouse with golden lace has a really funky appearance because the design of Blouse is a square pattern in a kite style, also there are golden patches added around the square on the back of Blouse. Funk is fun! 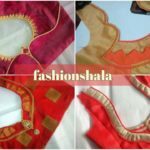 Patch work and oval shape Design for this Blouse, the Blouse is pink in color and has ¾ sleeves. 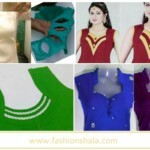 This is also consider as one of the basic designs for Blouse, such designs have versatility. 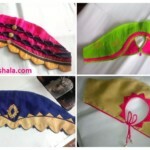 They can be worn at any occasion whether it’s a , wedding or festival, they carry their own ethnic charm. 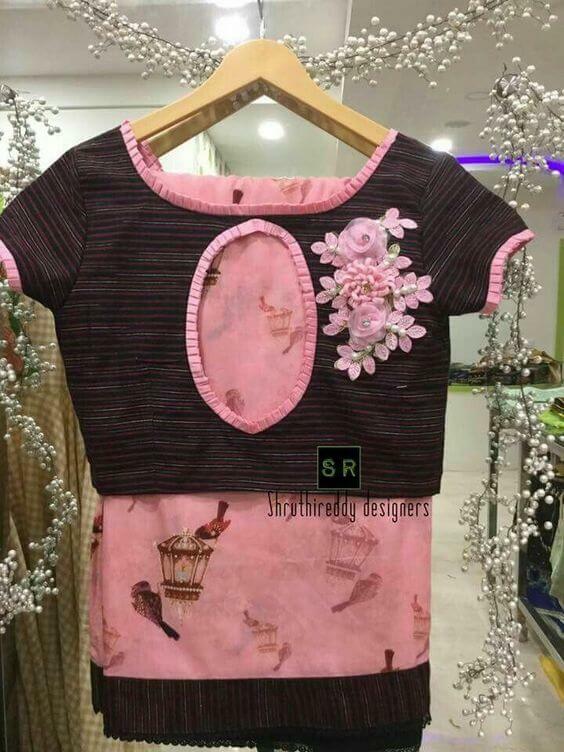 Here in this, the blouse is black and the design has ellipse shaped pattern with pink border around it, the pattern doesn’t shows off your back much and to give that a party wear look, a pink flower patch is also added on the right hand side other blouse. This design works when you neither want to dress too basic nor too fancy. Mostly everyone’s favorite, the bow pattern. Bows are a woman’s best friend, besides whenever in confusion add bow to it. This pattern is extravagant, because of the big oval cut and a cute bow on it. 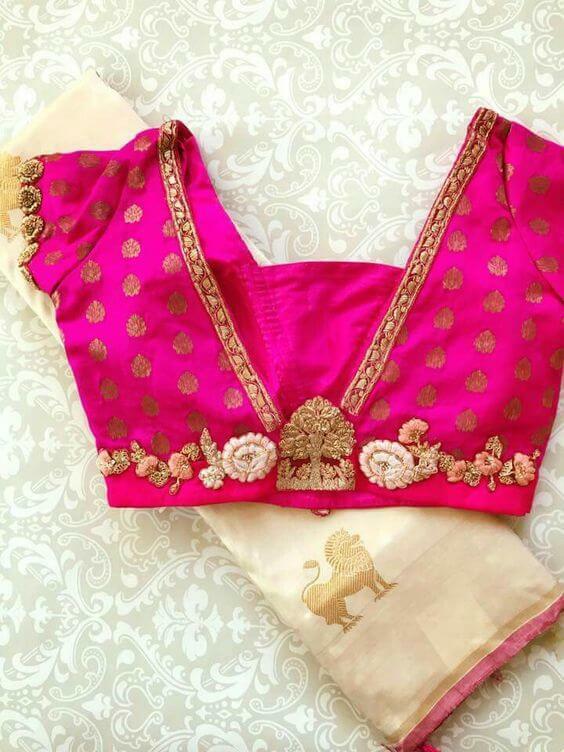 The golden work adds up to the beauty of this Blouse, no wonder the most loved pattern. Moving on to our next pattern, which is the semi circle pattern. 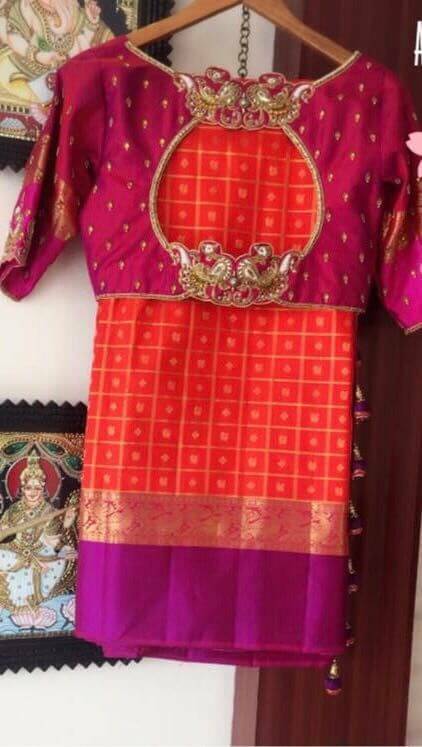 This blouse has pastel colors, and the material of this blouse is net. 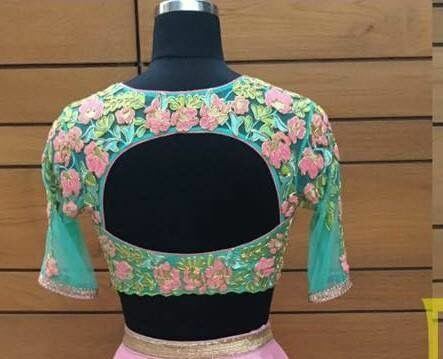 The pattern (semi circle) of the blouse is done with the blue net and to make it look more beautiful, the pink flower patches are added and it worked. 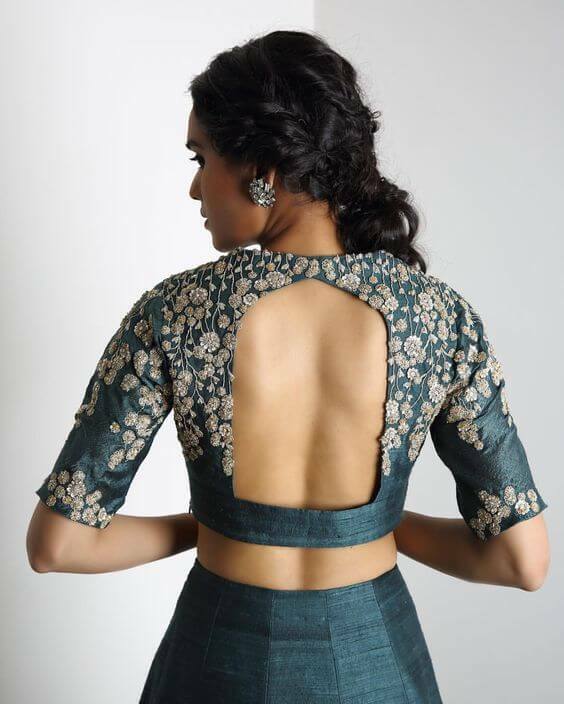 This isn’t a cliché pattern definitely, because the blouse has a upturned lotus pattern on the back the Blouse. This is truly the most creative piece of all, which can’t go unnoticed by anyone. This pattern is quite common, but what makes it different is the two layers of cloth in the pattern. 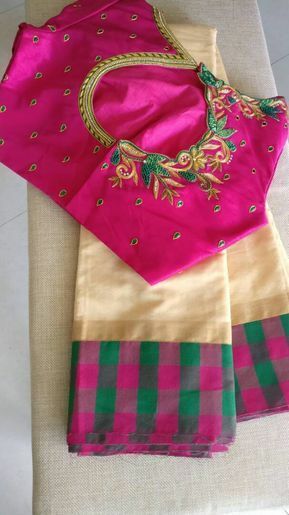 The blouse clearly has two layers in the round pattern, first layer of red color same as the color of Blouse, the second and inner layer of green. 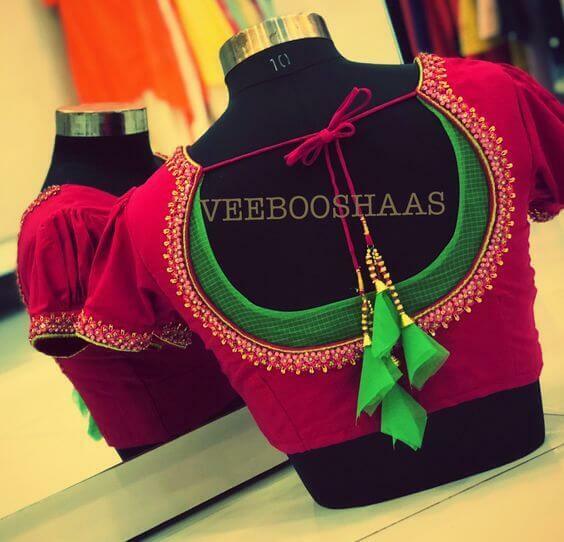 Not only that but the tassels also make the blouse look pleasing. 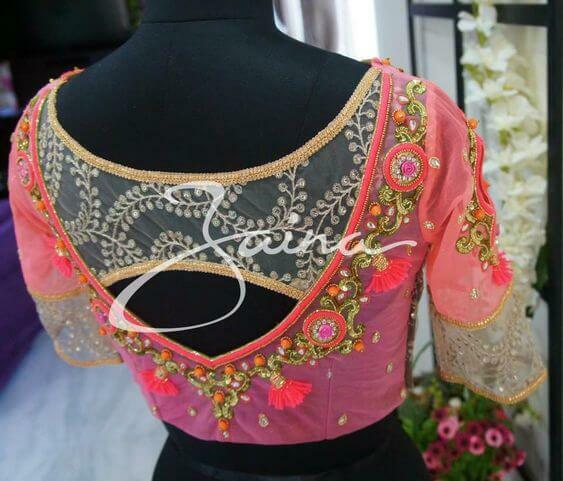 Now this pink colored blouse is quite fashionable because of it’s drop shape design at the back. Right side of the design has flower patches and the other side of the design has a golden lace. The blouse is sleeveless and sassy. It’s a must try design. Keep calm there is nothing that golden beads can’t solve. 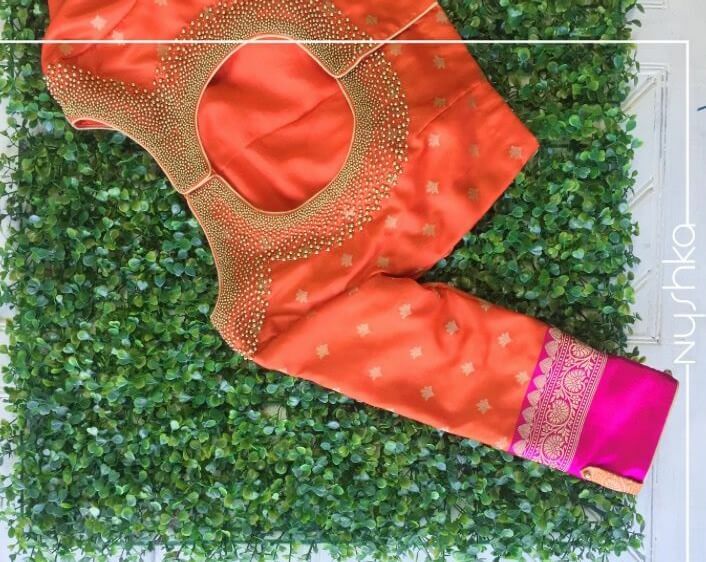 Orange is the happiest color and this orange blouse is a classic piece because of it’s round design at the back and Golden beads around the design. 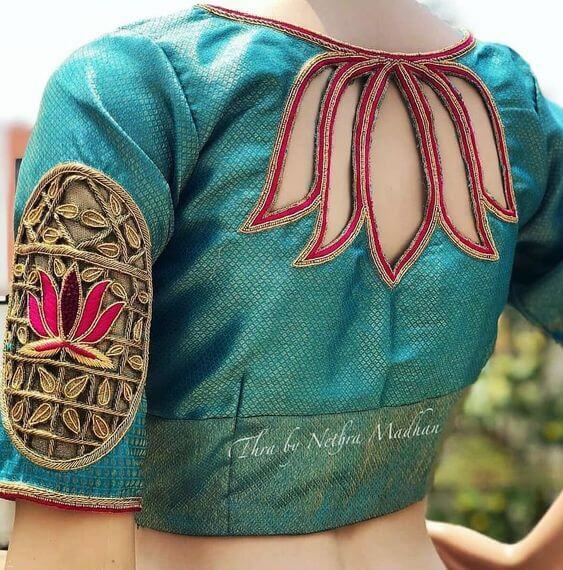 This is a blouse with work and a pentagon design at the back, we can also say it is a cage pattern as well. The sleeve of the design is 3/4 and the color as well is very cool and elegant. 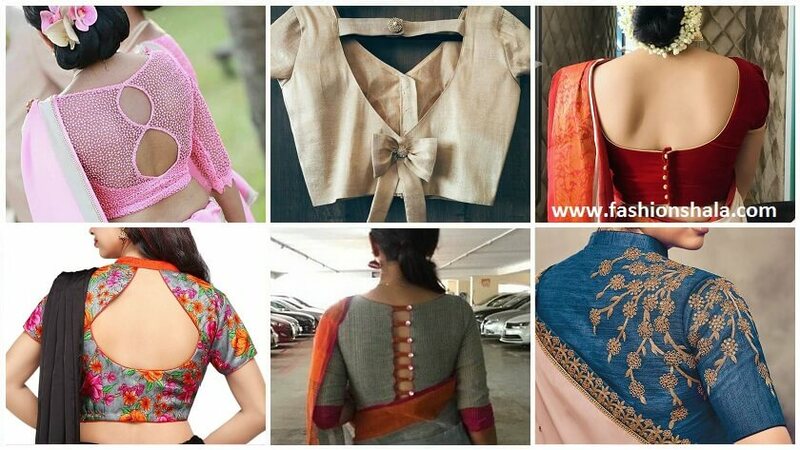 In a world full of changing trends, these are some of the classic designs, one can opt for without any second thoughts in the mind. It is a blouse made of white and pink net. The net also has a bead and tassel work on it, this blouse is an extremely fancy and glamorous piece. The design is also quite very creative and very different. We can call it BLINGTASTIC – when an item of clothing is as shiny as it is fantastic. 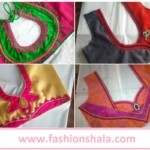 Fashion is like eating, you can not stick to the same menu, you need to keep trying different things. 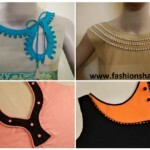 We update you with the new and upcoming styles to help you rock your every dress you wear. Also, you can get anything if you dress for it, isn’t it? 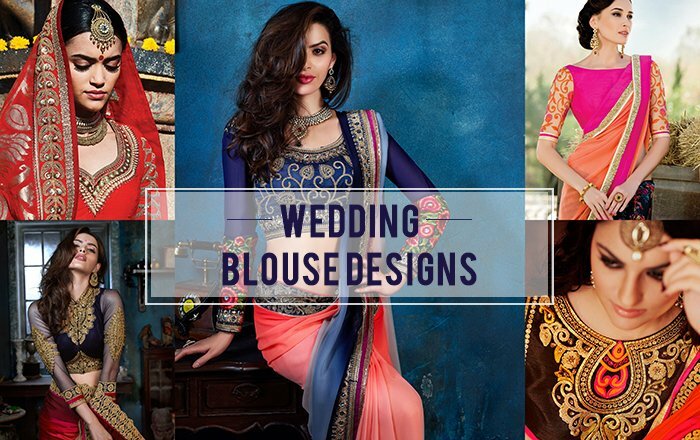 Do not forget to try the above designs we just updated you with. Thank you for reading.